Get excited baseball fans, the Ducks open their 2015 season today in Hawaii. The season opener will showcase the return of star pitcher Cole Irvin who missed all of last season recovering from Tommy John surgery and will be on a pitch count to start the season. Tyson Alger of The Oregonian reported that Irvin would be limited to around 35 pitches tonight, still plenty of opportunity to show us what he can do on the mound. Even on a pitch count, Irvin is undoubtedly the Duck’s ace and the most experienced of the pitching staff. 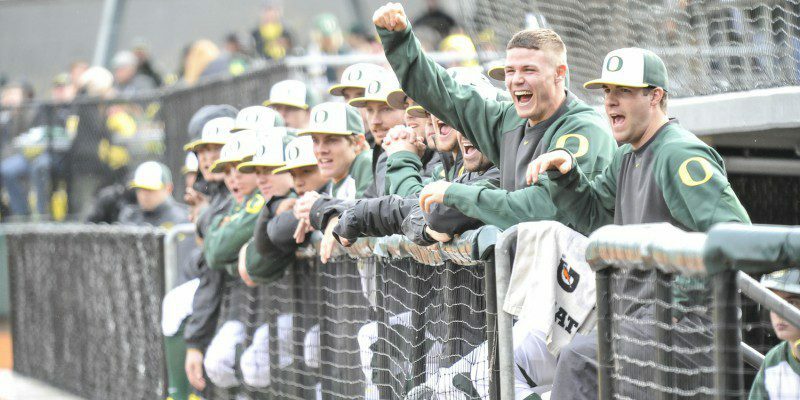 With high hopes for this season -the Ducks are predicted to finish second in a strong Pac-12- the biggest question mark looms over the talented but inexperienced pitching staff. After Irvin’s 16 starts the next most experienced member of the pitching staff is Trent Paddon who has appeared 21 times but has only three career starts. However, Paddon’s numbers should instill confidence in the fans. Over those 21 appearances last season the 19 year old’s peripherals were very strong- posting a 3.37 ERA, allowing a single homerun and striking out 41 batters while only walking 11. With regular playing time Paddon is sure to improve his skills. Jack Karraker was a transfer student who not only changed schools but positions last year. Moving from the infield at Fresno City College into the bullpen at Oregon. 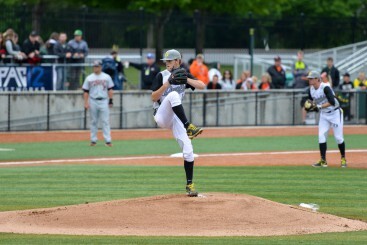 Karraker showed good control with his pitches only walking one batter in 11 games. In his first year as a pitcher he held down a 3.97 ERA over 11 innings (one start). With a full season on the mound under his belt Karraker will be polishing his game and fighting for a rotation spot. Last, but certainly not least, is the highly touted freshman David Peterson who is expected to start tomorrow’s game. Peterson is the number one prospect ranked by Westcoastleague.com. He has a fastball that sits in the high 80s and can reach as fast as 94. The Red Sox took out a flier on him in the 28th round but Peterson thought it would be better to refine his skills at the college level. With 3.75 walks per nine and 6.0 strikeouts per nine Peterson has room to improve and the 6′ 6” pitcher’s ceiling is incredibly high. With plenty of excitement surrounding George Horton’s team this year everyone is ready to make the jump from regional tournaments to the College World Series. With the talent on the mound and at the plate, this very well could be the year we see that happen.